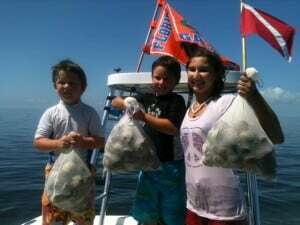 Scalloping is Florida Family tradition going back decades even centuries. Some have called it the Easter Egg Hunt of the Sea. 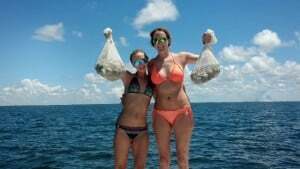 All you need is a Scalloping Bag, swimming experience, and some fins, mask and snorkel. No scuba experience required, this is a shallow water adventure for all ages. 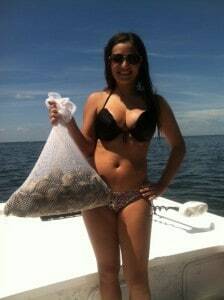 Come enjoy 1 of only 3 places left in the state of Florida to go Scalloping. 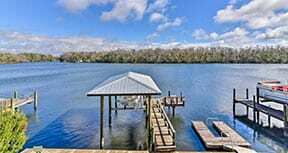 Don’t forget only with Reel Burns can you get the best Scallop Experience in Homosassa. You trip is aboard a Twin vee catamaran boat with plenty of Bimini shade. 22 foot long by 7 1/2 foot wide the boat is roomy, stable and dry. Sturdy open step stainless Armstrong ladder for boarding. Enjoy you favorite tunes from our onboard sound system. 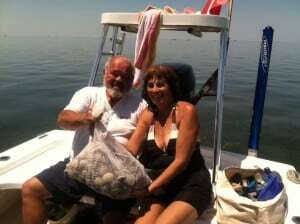 Scallop Charter – 1 – 4 people $300 – $50 per additional person up to 6. Have more than 6 people? No problem – we will arrange for extra boats to accommodate your group.